Fun fact: I'm a perfume lover. I own a good thirty bottles of perfume and have another fifty or so samples from houses (mainstream and niche) the world across. Sure, I started with a bottle of Acqua di Giò (what guy hasn't? ), but my perfume journey has taken me to wild and fanciful places. Now Bertrand Duchaufour, Christopher Seldrake, Jean-Claude Ellena and Francis Kurkdjian are among my favourite noses, and I am beginning to explore the domain of niche perfumery. Here's the thing: perfume is an intensely personal experience. I love Black Aoud; my mom hates it. When I wear Sycomore, my dad wrinkles his nose. My friends refuse to sit next to me when I put on Encre Noire. I wear perfume for myself because I've grown to love the scents and the associations I've made with them. Clearly, however, not everyone has the same taste. In fact, judging from the list of perennial bestsellers—think Acqua di Giò, Bleu de Chanel, Light Blue—it seems that most people have unadventurous taste. It all goes to show that no two people are exactly alike when it comes to perfume. So why should we listen to Luca Turin and Tania Sanchez? Aren't their opinions just that—opinions? That's true, but theirs are a hell of a lot more informed than the average human's. 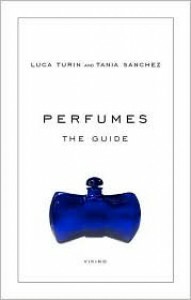 Luca Turin is a biophysicist whose work in olfaction has been incredibly influential; Tania Sanchez is a well-respected perfume writer and blogger. These two live and breathe (heh) perfume. They're practically the patron saints of the stuff, and their work here doesn't disappoint. Perfumes: The Guide is essentially a collection of alphabetized perfume reviews. Some are poetic, some are more than a little acerbic (their review of cK In2 U His reads only "IM IN YR BOTTLE, BORIN YR GF"—perfection! ), many are riotously funny, and all are impeccably written. Turin and Sanchez have a real way with words; it's immediately apparent that they're not some two-bit bloggers selling their hack writing for thirty bucks. That's not to say their opinions are always trustworthy. On the contrary—Turin and Sanchez (who are married, by the way) dump on Creed throughout the book, which I find absolutely lamentable. Creed Aventus is one of my favourite fragrances, and if there really is such thing as a chick magnet, I think Aventus is a serious contender for the title. 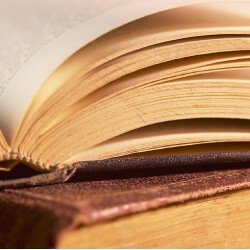 Furthermore, the authors sometimes accord too much praise to boring, stodgy fragrances. The highest-rated perfumes are often things I would never wear, like Chanel No. 5 and the like. You can't blame Turin and Sanchez for admiring the Old World of perfumery, but a little more adventurousness now and then might be appreciated. Perfumes: The Guide is a valuable resource if you're looking to explore the world of perfumes but don't have a thousand dollars to drop on full bottles right away. If nothing else, it's worth reading for the hilarious put-downs.